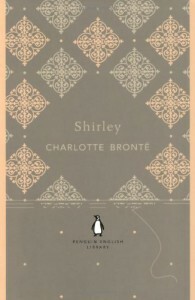 Originally posted at Gypsy Reviews.Shirley is undoubtedly a very unique novel, unlike Brontë’s other novels, it focuses more on social and political issues rather than the story. I do not claim to be an expert on these matters at all because I have little knowledge of the Napoleonic Wars and therefore did not understand some of these parts. So I will not be commenting on those areas in my review, rather I’ll be concentrating on the characters and the storytelling.We are introduced to Caroline Helstone about a hundred pages in and she struck me as a peculiar character. Instead of staying at the rectory and idling her time away, she wanted to go out and work; to become a governess. Her views were so different to what common women in her time thought and I was intrigued. Her situation with her cousin, Robert Moore, is hopeless because she is in love with him but as Caroline is poor, he couldn’t marry her even if he wanted to. Robert needs the money to provide for his mill so he sets his eyes on Shirley.Then enters the title character about halfway through the novel, Shirley Keedlar, who is headstrong and strong-willed. During that time, Shirley was actually a boy’s name. Shirley is a heiress who knows exactly what she wants and there were at times when she was referred to as a man due to her fortune. 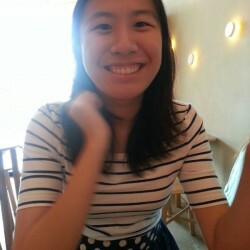 She doesn’t come across as arrogant despite her fortune, Shirley does have a good heart and she refuses to let people treat her as a delicate lady because she is far more than that. Shirley and Caroline become fast friends and they complemented each other very well, with Caroline’s more soft-spoken side to Shirley’s hard-headedness.I actually liked Brontë’s way of storytelling, she wrote it as if she was telling the story rather than just a third person account. You can definitely detect her humour in the novel.“Every character in this book will be found to be found more or less imperfect, my pen refusing to draw anything in the model line.”- pg. 60, Shirley by Charlotte BrontëI was particularly humoured by one of the chapter titles.Chapter 18: ‘Which the Genteel Reader is Recommended to Skip, Low Persons Being Here Introduced’- pg. 324, Shirley by Charlotte BrontëThe pace of the story was off though, nothing much really happened in the first half of the novel and it was disheartening to be introduced to the title character only halfway through. It’s only within the last hundred pages where everything happens. It was really difficult to actually get through this book, I was pretty much forcing myself to finish it because it was getting boring. I’m not too sure if you want to venture into classics that you should read this book because I found this very hard to like. So unless you really want to venture deeper into the world of classics and try out something difficult, check this out. If not, stick to Jane Eyre.